The idea for an innovative high-tech American school started with the knowledge of the need for a high-quality school choice for parents: the few other private schools in Luanda are: full, with waiting lists, traditional teacher directed delivery of curriculum, and of course an American School was non-existent. Additionally, the need for students to learn to think, become autonomous learners and tech savvy were driving philosophical factors for the foundation of ASA. The actual onsite work to launch ASA began in January of 2017, with the securing locations. ASA officially opened its doors on September 5, 2017. Philosophy: The school philosophy is student centered. Students should be given opportunities to practice real life skills in a supportive nurturing environment. Students should be offered thinking opportunities to connect learning to their own experiences to develop real world connections. Students must be tech savvy to thrive in our 21st century global society. When: On September 5, 2017 ASA officially opened its doors. Students may enroll for the August/September start date or the January/February start date. All other requests for irregular enrollment dates will be considered on an individual basis. What: An Angolan Ministry of Education licensed school. An accredited educational institution offering a US high tech driven education, grades 6 – 12. A US high school diploma is earned upon meeting graduation requirements. ASA to include grades K – 5 in August/September 2019. ASA offers boarding for high school students (grade 9 -12) at the Luanda and Catumbela school sites starting in August/September 2019. The school philosophy is student centered. Where: School site locations in Luanda and Catumbela. 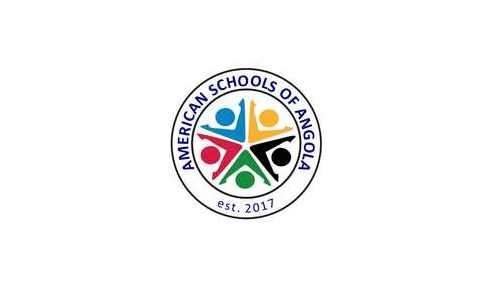 Why: The mission of the American Schools of Angola is to develop and nurture proud well-adjusted lifelong learners; who are prepared to meet their challenges and responsibilities and become successful culturally sensitive global citizens and leaders in the 21st century, striving for a better world for all. ASA accepts students regardless of race, religion, gender, creed, color, or country of origin. Students are accepted after meeting academic standards, appropriate scholarly expectations, and documented responsible behavior. Students must meet English language proficiency standards, or he/she will be referred to the ASA English Institute for tutoring or enrollment. ASA will not accept students, who in our opinion, cannot be appropriately served at our facility. ASA is an international school serving students from countries worldwide. ASA will consider flexible enrollment dates on an individual basis. Our typical enrollment dates occur in: January/February and/or August/September. The ASA curriculum and program is provided through a contractual partnership with Calvert Academy. Calvert is a high-quality, reputable accredited education institution with 100+ years in the non- traditional field of education. Through this partnership, ASA is an accredited institution with the Middle States Association of Colleges and Schools and NCAA - recognized by the Dept. of Education of the state of Maryland. Our curriculum is aligned to US standards. The curriculum is digitized, wherein students can access any course anytime, anywhere. Students, teachers and parents can monitor pacing and achievement from the student’s Calvert dashboards. Students are required by ASA to earn all A’s and B’s – to BE EXTRAORDINARY. The ASA teaching faculty are experienced certified teachers, almost all are from the United States and have earned a master’s degree in their subject area of expertise. Many of the teachers are well travelled, offering a global insight into education and share exciting stories about their travelingexperiences. Additionally, ASA has US certified teachers located in the US. These Calvert teachers perform the grading of all student coursework assignments, quizzes and tests, provide feedback, encouragement to the students and act as a resource to the classroom-based ASA students and teachers. ASA students may reach out, via email or Zoom, to their Calvert teachers too. Many courses have discussion-based assessments in which an ASA student has a scheduled live one on one conference call with their Calvert teacher to answer questions regarding their learning and understanding. ASA has local learning coaches, (teacher aides) in some classrooms. These bi-lingual learning coaches are vetted, experienced with students and help to support our students under the direct supervision of the ASA classroom teacher. ASA offers a very low instructor to student ratio --- Unsurpassed by no other school!